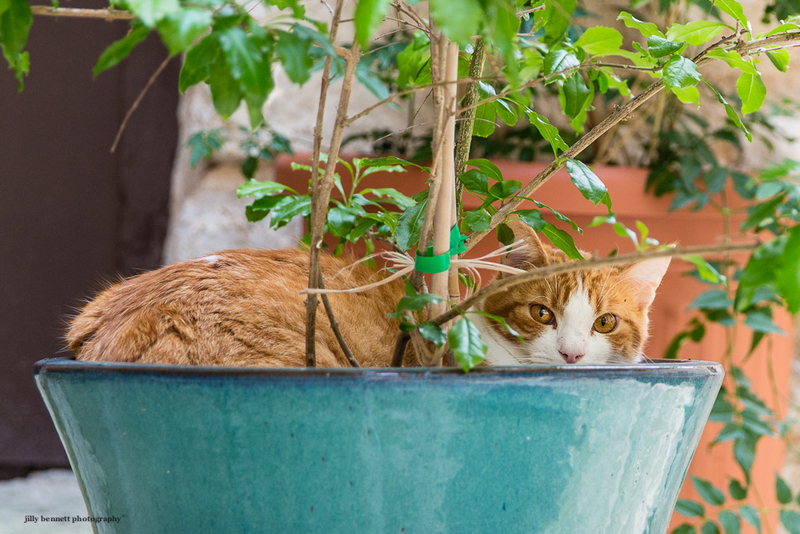 This lovely cat, Youpi, is curled up in a beautiful pot in the sunshine outside his house in the medieval village of Gorbio. Ce beau chat, Youpi, s'est pelotonné dans un joli pot au soleil, à l'extérieur de sa maison dans le village médiéval de Gorbio. What a pretty shot, Jilly. The colors are wonderful. Thanks Petrea, that is what tempted me. Like you, love those colours. I couldn't decided between the crop or not, so I put both! Sweet ! 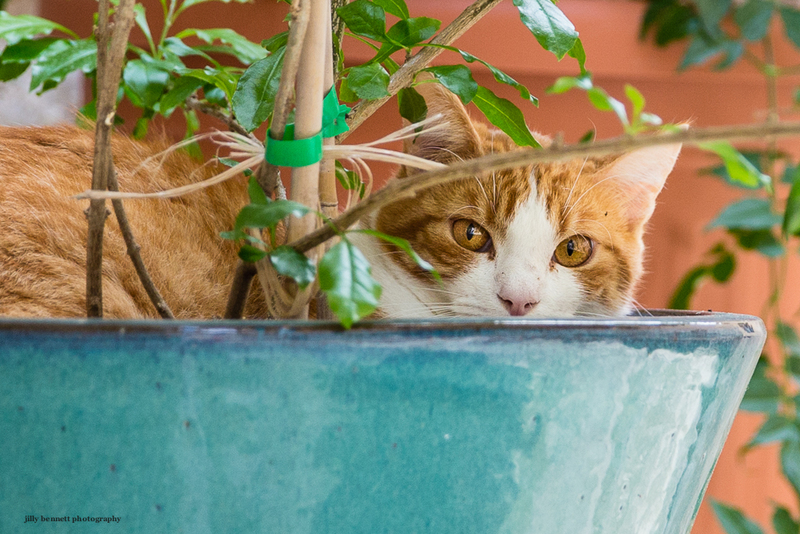 Nice composition -- love the orange kitty in the turquoise planter and the shades of green leaves.